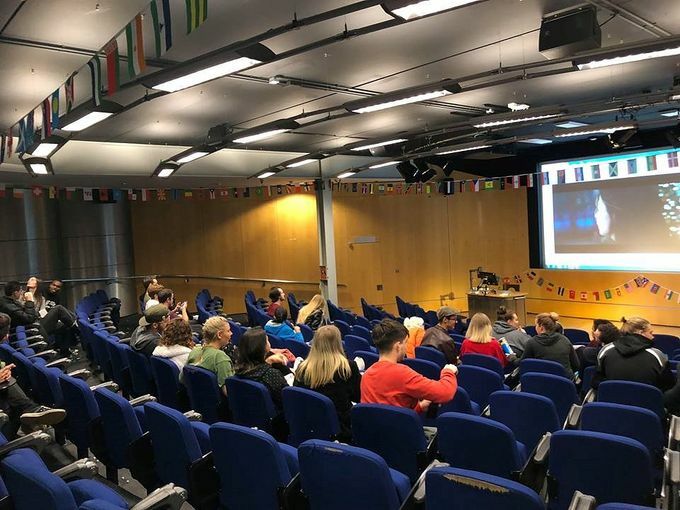 Lucy Atkinson, Residential Life Officer and Lucas Ribeiro dos Santos, UEL journalism student take a look back over life in halls during Week 1. 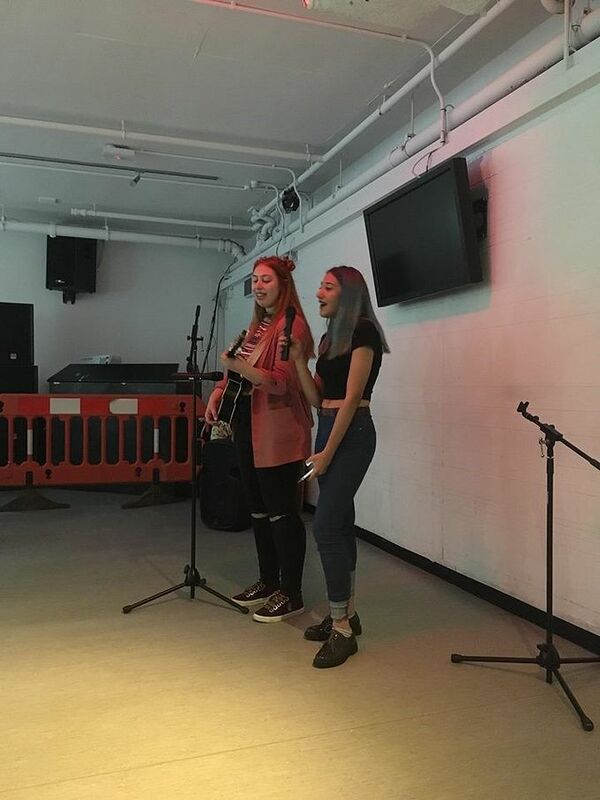 This year the residential scholars are working hard and have already been getting busy with events. We had a great beginning with the scholars Muhamed Badjie and Priya Koliyot hosting Open Mic Night at the Underground Bar. If you didn’t go, you really missed out, as the performances were absolutely amazing! Especially the ending with the most amazing and hilarious performance by Harry Walker, who sang his heart out to the Wheatus classic Teenage Dirtbag. For those that were present and enjoyed the night, please go to the Residential Life Facebook page and ask for more of that, so that we can have a bigger time slot. The week ended with Aleksandra Letunovska and Keila Cabral bringing all of us together with a movie night. We all enjoyed the movie Baby Driver on the big screen, followed by free popcorn and free drinks. You read that right – free popcorn! The only thing missing was a butter machine to go with it. Let’s all petition for that to happen next time (wink, wink). The movie was epic and the lecture room was full. It was like having our personal cinema on campus. Keep your eye on social media as Aleksandra will be choosing two other movies and you guys can vote on what you would like to watch on the next movie night. If you have any film suggestions, go on our Residential Life Facebook page and we will try and get it out for you. 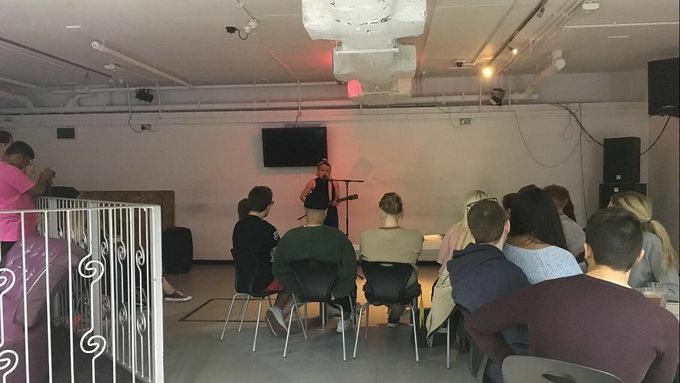 Since everyone’s got their first essays to do already and felt a little bit of the pressure, Priya Koliyot decided to de-stress everyone with TV and takeaways, by giving away some delicious free Papa John’s Pizza and drinks. While Maddison Joy was an absolute star and let us use her Netflix account to watch some Friends. All the scholars were there to make sure everyone got their slice. 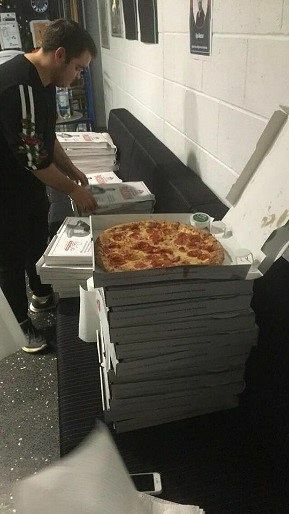 It was crazy the amount of pizza that we had! By the end of it there were nothing but smiles as people were either socialising outside or cuddling up to some Friends. There are plenty more events still to come. So stay up to date with what they are by checking our social media pages. Have any suggestions for future events or anything else? You know what to do, leave that comment on one of our pages. That will help us, you and our beautiful campus. Just a quick reminder that all Residential Life events are free. You can’t get better value than that!